We are all chasing that elusive glow that we have seen on celebrities but we never seem to have. And then thought that maybe we could never achieve it as we cannot afford the expensive treatments and products they have access to. But not anymore. 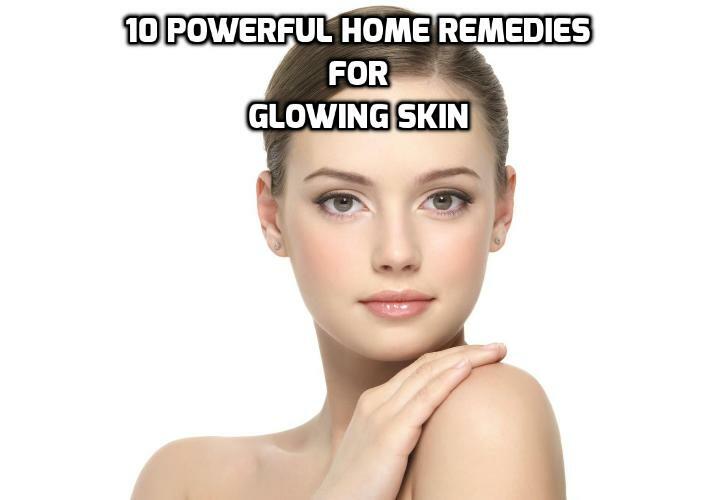 I will give you 10 powerful home remedies for glowing skin in this article. So without further ado, let’s get right into it. The lactic acid present in milk is said to work wonders for your skin. Mix it with your face pack, or soak a cotton ball in it and use it as a toner, keep overnight and wash off the next morning to reveal a bright and clear complexion. For use on your skin remember to opt for raw milk than boiled as its nutrient content is far more. Turmeric is a one-stop solution for all your skin related problems including dull and dry skin, pimples, acne and pigmentation. Its antiseptic and antibacterial properties fight off free radicals and restore your skin’s elasticity and youthfulness. However, always remember to use turmeric with either yoghurt or milk to avoid the deadly yellow stains that come along with it. The acid and Vitamin C content in lemon helps in whitening and lightening your skin. Along with that, it helps in clearing off acne, getting rid of blackheads and keeps the oil secretion on your skin under control. You can mix lemon juice with a little bit of aloe vera if you have sensitive skin as applying lemon juice directly will aggravate your skin further. Papaya contains papain, an enzyme known to have skin-lightening properties and which can make your scars and blemishes less prominent. Along with it, it also reduces acne if used over a long period of time, heals dry and chapped skin and gets rid of all the dead skin cells too. Besan Ubtan works like a miracle for dry and dull skin and you can customize it as per your needs and requirement. For example, if you have dull and dry skin you should consider mixing your besan ubtan with almonds and milk. Whereas, if your concern is acne, mix some lemon juice in your Ubtan to create a potent exfoliator which will ward the pimples off. Rose water is anti-inflammatory and anti-bacterial that helps treat inflamed skin and skin redness gently and quickly. It works as an excellent cleanser and helps in removing the dirt and oil off from your pores and unclogs them. When used regularly, rose toner makes your skin brighter by working on it from deep within and makes it softer and clearer too. Saffron is a well-known spice in India that used in cooking as well as in beauty products. It is rare, so naturally, expensive and does wonders for your skin and complexion. Mix it with some milk cream and apply the paste on your neck and face and massage for a few minutes let it remain for a few minutes and then wash off with lukewarm water to reveal glowing skin. Orange peel scrub is one of the best exfoliators if your concerns are dull and lifeless skin. It gets rid of your blackheads, removes dead cells, cleanses and tightens pores and vanishes the dark circles under your eyes. Yoghurt reduces the appearance of fine lines and wrinkles. Made out of milk, yoghurt is rich in lactic acid as well and helps in dissolving dead and dry skin cells. Its restoration properties also make sure to regenerate new and healthier skin cells which restore your skin’s lustre and makes it look younger and brighter. Sandalwood has antiseptic properties which make it an excellent skin cooler which in turn helps in clearing rashes, treating acne and normalizing the oil secretion from your sebaceous glands. It works as a natural astringent and helps up in toning your skin. That’s all for today, hope this helps. Take care. Next PostNext How to Cure Skin Dryness with Herbal Remedies?